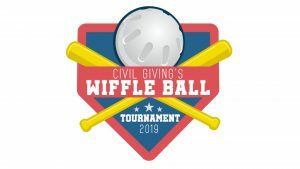 This is why in 2016, Civil Giving, CDI’s charitable arm, started the Annual Wiffleball Tournament benefiting Gene Slay’s Girls & Boys Club; inviting our engineering and business community to come together for a great cause and raise awareness among our St. Louis community. We are proud to say, as we approach our 4th Annual Tournament, we have created a momentum much larger than ourselves. To see so many firms and business join forces for creating community impact is both empowering and humbling! And this year, we’re thrilled to add a SECOND DAY of Wiffle fun! Our event has grown to the point where folks outside of the engineering/architecture community are banging down the door to get involved–so Sunday will be for anyone who wants to play! In addition to the event supporting Gene Slay’s Girls & Boys Club, our 1st and 2nd place winners receive a donation to their charity of choice, which invites each team to proudly play and advocate for a great cause in our community. This is a true community event, focused on inviting the many leaders in St. Louis who design and support our infrastructure, to design and support a vibrant future for St. Louis!